Gorgeous! Tons of upgrades! Brick Front Ranch, Granite thru out, hardwood floors, sep dining rm, Cabana with outside fireplace!! Full finished basement w/huge man cave/rec room & 2 bedrooms! This home has it all!! Amazing outdoor living with Party deck, Cabana w/ fireplace & kitchen & level back yard! Split BR plan, Owners suite boasts trey ceiling, stone shower, sep whirlpool tub & double sinks in granite! Located on private cul de sac lot! 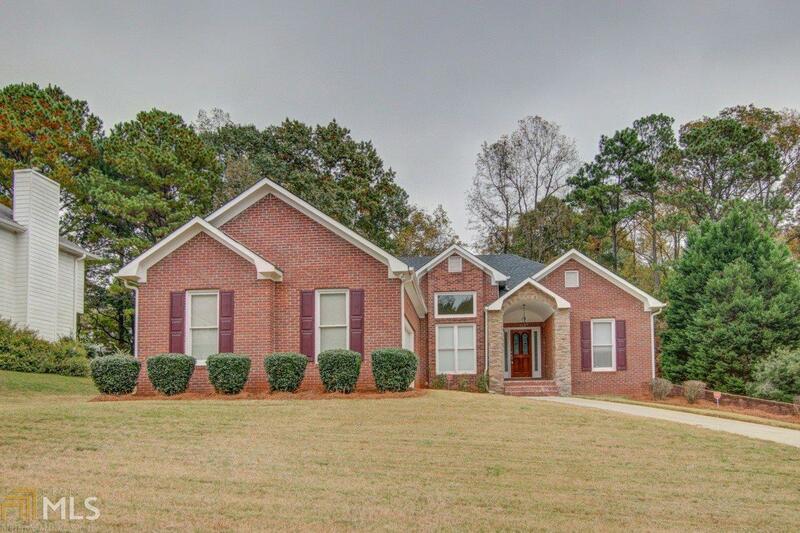 Move in ready and just minutes to I-20! Directions: I-20 E, Exit 80 Sigman Rd. Turn R, Then Immed. L Onto Iris Dr. R At Light Onto McDaniel Mill Rd. R At Stop Onto Klondike. R Onto Stone Bridge Ln. R At Stop Onto Stone Bridge Trl. Follow To L Onto Scenic Brook Trl. L Onto Scenic Brook Dr. Home On Left.